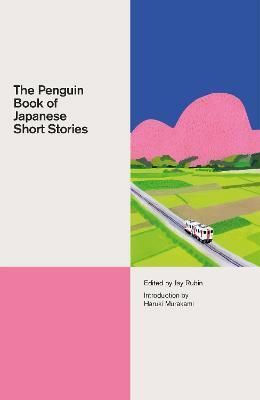 This fantastically varied and exciting collection celebrates the great Japanese short story, from its modern origins in the nineteenth century to the remarkable examples being written today. Curated by Jay Rubin (who has himself freshly translated several of the stories) and introduced by Haruki Murakami, this is a book which will be a revelation to many of its readers. Short story writers already well-known to English-language readers are all included - Tanizaki, Akutagawa, Murakami, Mishima, Kawabata - but also many surprising new finds. From Yuko Tsushima's 'Flames' to Yuten Sawanishi's 'Filling Up with Sugar', from Shin'ichi Hoshi's 'Shoulder-Top Secretary' to Banana Yoshimoto's 'Bee Honey', The Penguin Book of Japanese Short Stories is filled with fear, charm, beauty and comedy. Jay Rubin is an American translator and academic. He is the translator of several of Haruki Murakami's major works, including Norwegian Wood and The Wind-Up Bird Chronicle, Natsume Soseki's The Miner and Sanshiro and Ryunosuke Akutagawa's Rashomon and Seventeen Other Stories. He is the author of Making Sense of Japanese, Haruki Murakami and the Music of Words and a novel, The Sun Gods. Haruki Murakami is one of Japan's most admired and widely read novelists. His most recent novel is Killing Commendatore.